It’s 9 a.m. in Mallorca, day four of our vacation. We pull up to the curb outside a large apartment complex and our friend Sacha jumps into our tiny white rental Fiat. Excitedly, he unfurls a thin white plastic bag, “for pigs”, he explains. “Last time I drove up to Cala Torta I found some fantastic ones by the side of the road.” It takes me a couple minutes to figure out exactly what is being discussed here. Pigs = Figs, and apparently fruit-baring trees can be found dotting the arid landscape along the road to the northeastern coast of the island. A quick disclaimer: we will not be stealing per se… it could be more accurately considered a case of graciously relieving trees, of dubious ownership, of their summer bounty. Regardless, I don’t need to be convinced to participate. This is exactly the kind of activity I wish all my summer days were filled with. We spend the day in Cala Torta swimming in the crystal blue Mediterranean, eating platters of seafood with our hands, and drinking bottles of rosé and pitchers of sweet sangria. By late afternoon I am in prime condition for “stealing pigs”. We designate my hubby the get-away driver while Sacha and I peer out the car windows searching for targets. 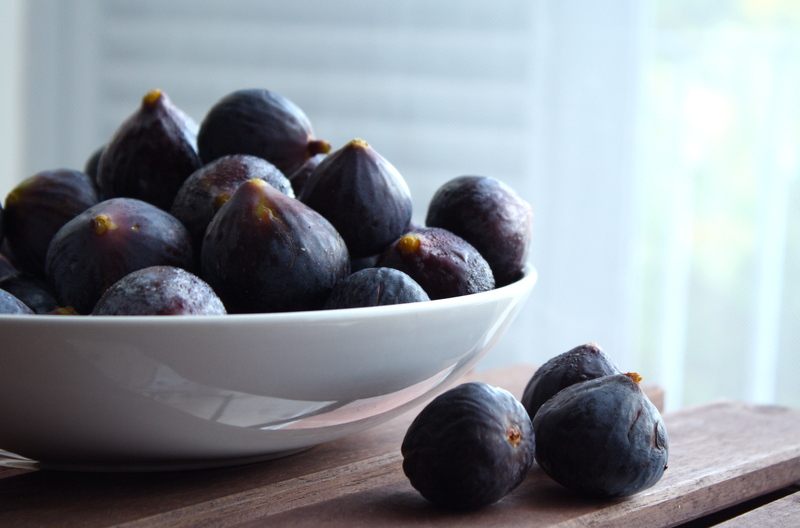 The first tree is a bust… already picked clean by other fig enthusiasts. A little farther down the highway we spot a tiny dirt road that leads to a distant farmhouse. A large fig tree overhangs a stone wall and wire fence. (I did admit that ownership was dubious right?) We dart out of the car and climb the fence brushing aside large floppy leaves in search of the purple fruit. A brood of boisterous hens scurries over, clucking noisily. I assume this is an attempt to shame us, but we ignore them. After all, it’s nearly impossible to be scared by something you eat for dinner twice a week. It’s not until I hear the sound of a goat bell coming down the hill behind us that I signal to my accomplice that it’s time to go. With our bag only half full, we continue our search. It’s not long before we spot two large trees, deep purple fruit weighing down their branches like ornaments on an overly decorated Christmas tree. One illegal U-turn later, and Sacha and I are out of the car even before it’s completely stopped, excitedly popping the sun-warmed fruit off the tree. My hands are sticky with sap. The bottom of my skirt, which has been busily caressing the grass and bramble around the trees, is covered with prickly burrs that scratch my calves and ankles as I move. We fill the bag until it’s dangerously close to tearing, and Sacha is forced to cradle it in his arms like an oversized newborn as we make our way back to the car. Figs stuffed with camembert cheese and topped with jamon serrano. 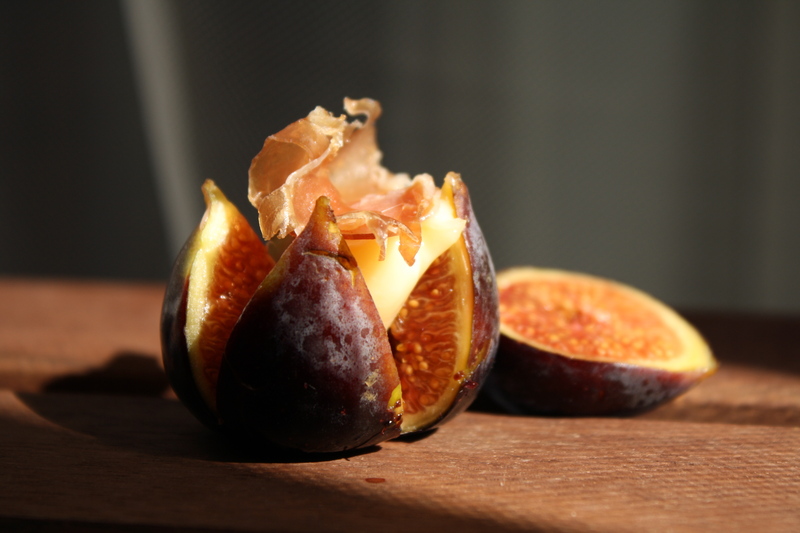 Try cutting and stuffing your figs in a similar manner to the one in the photo above. Place them on a sheet pan and into a 375° oven for a couple minutes. 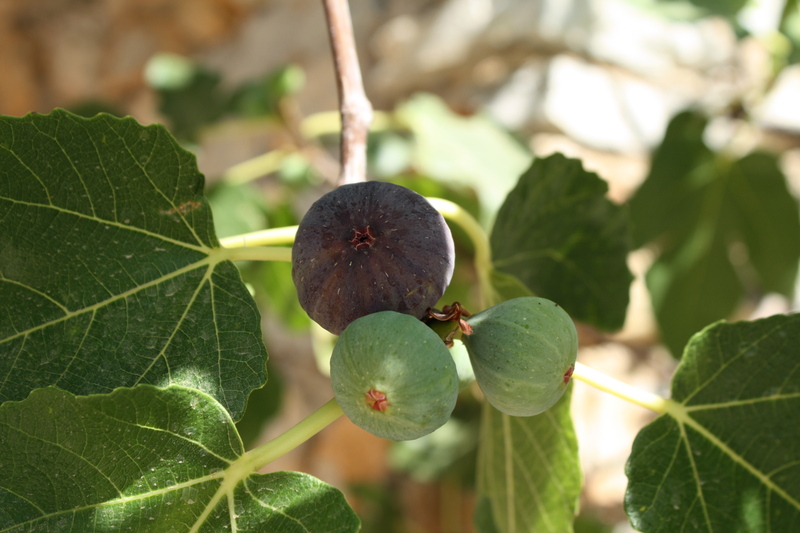 The interior of the fig will become soft and incredibly sweet, somewhat similar in taste and texture to a date. Sprinkle with fleur de sel (sea salt) to balance the sweetness. 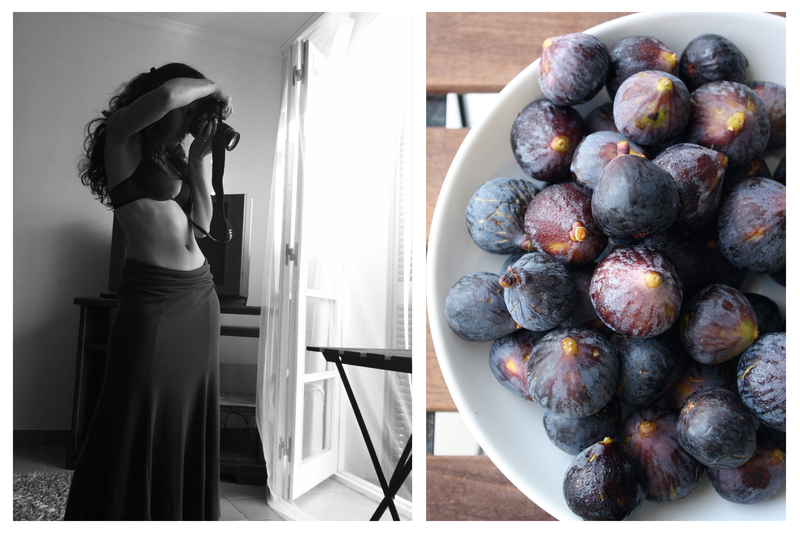 I adore figs…….and Spain! Thanks for taking me back to this beautiful spot. You are most welcome! Spain is a truly wonderful place I can’t wait to go back. ← And Finally, For the Youngest Stirling—Spaghetti Bolognese.